Bavaria 51 is a large boat in every way. It will provide you exactly what you expect from Bavaria, a comfort and lots of it. Salon height is impressive 2.11m and even if you are not a basketball player you will appreciate the celling height throughout the boat. Front two cabins can be converted in to one cabin with gigantic bed. Taking a shower in a sailing boat bathrooms is not a challenge anymore it is finally enjoyable experience, there is even one dedicated shower room. Although bigger isn't always better, on sailing boats it definitely means faster. 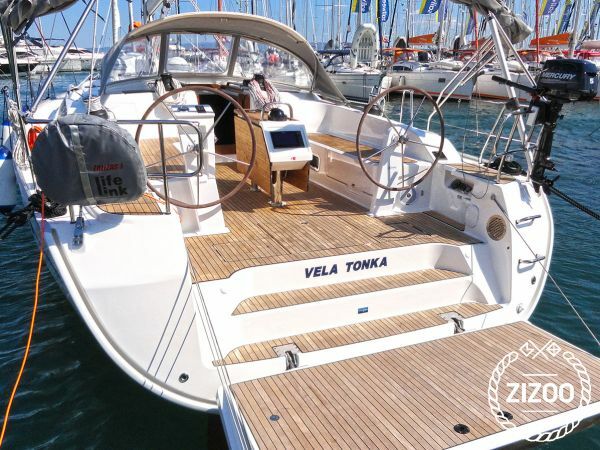 Cursing speed between 8-9 knots takes you to your destination faster and with large 9" Zeus B&G chartplotter connected to the autopilot easier and safer.